The Hardwood Collection of household electrical switches and sockets are manufactured with solid oak fascias in the three wood finishes of natural oak, mid oak and dark oak. This range of household electrical fittings works well in traditional room settings and minimalist room sets for the more imaginative. Within this Hardwood electrical collection is a full range of electrical fittings including TV and telephone points, cooker points plus the full range of electrical plug sockets and rocker and toggle light switches. 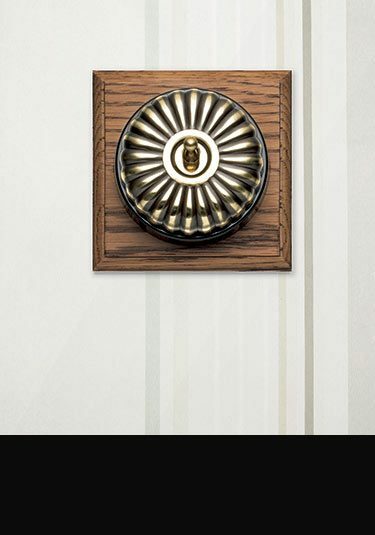 Period traditional styled light switch with an antique brass dome onto a real oak back patress. 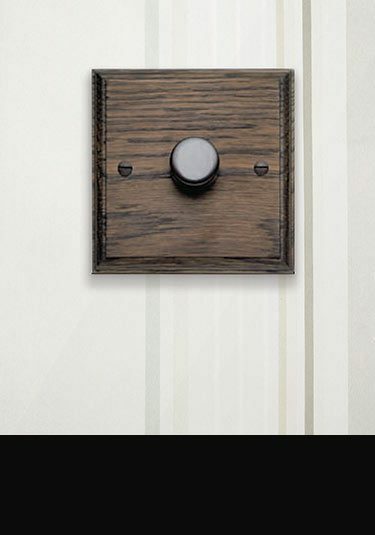 Real wood toggle light switch in a period style which is ideal for traditional buildings. Also looks good in contemporary minimalist settings. 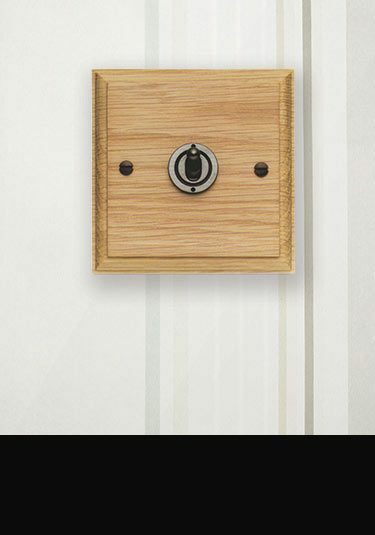 Luxury British quality, this real wood light switch has a rocker style switching. Ideal for traditional period properties but works really well in contemporary settings also. 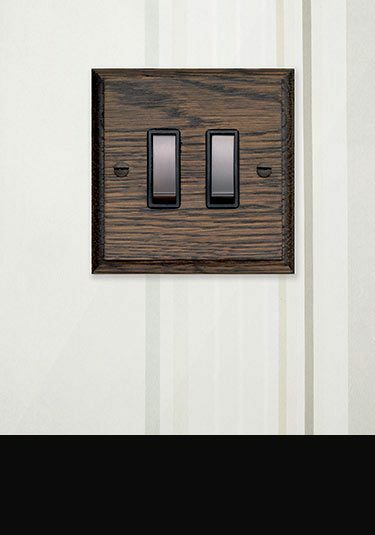 Wooden dimmer switch in real oak is ideal for traditional period properties but also works really well in contemporary design settings. 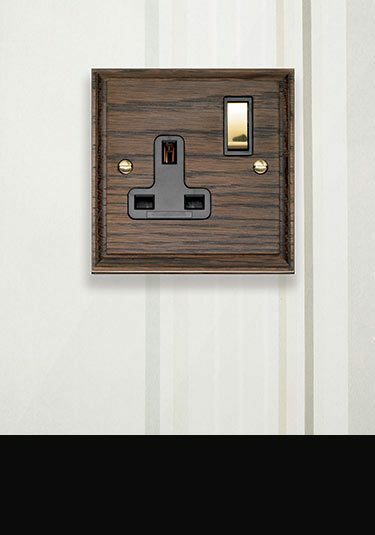 Luxury real oak plug sockets and matching wooden electrical fittings to compliment. 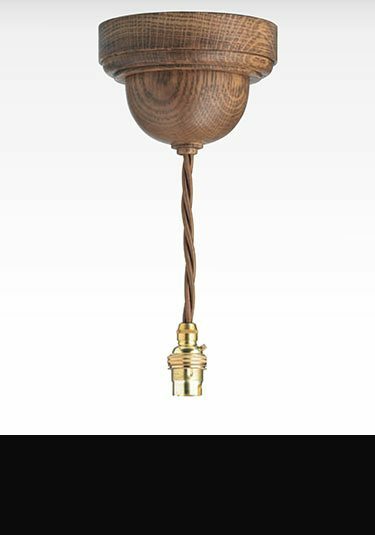 Traditional period light pendant available in 3 real oak finishes.